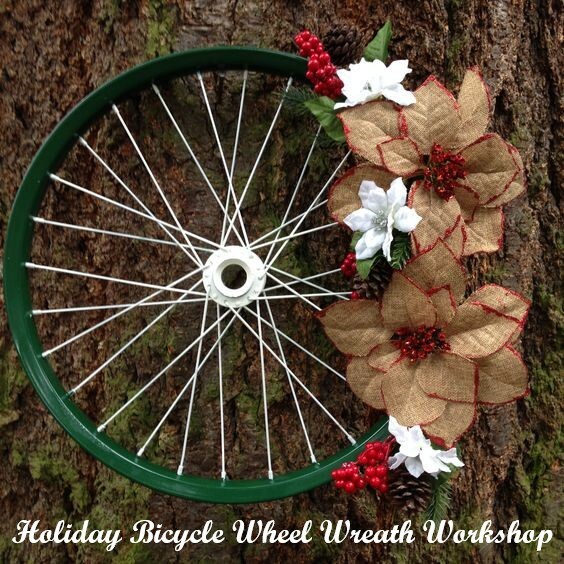 Join Laura for a night of Holiday wreath making by ‘upcycling’ old bicycle wheels. The cost for this event is $45 which covers materials and light refreshments. Space is limited so reserve your spot today. We will have varying sizes and colors of old wheels to use. Crafting materials such as ribbon, glue, wire, greenery, etc. will be provided. Follow this event on Facebook, https://www.facebook.com/events/1387217714747670/ , for some inspirational photos, and come prepared for an evening of fun! If you are interested in spray painting a wheel a specific color before the night of the event, please email Laura at laura@tricycleandrun.com to work out the details. To reserve your spot, please send your payment of $45 through the PayPal link provided, or you can stop by the shop during regular business hours to pay. Take a look at some of the photos from last year’s event! 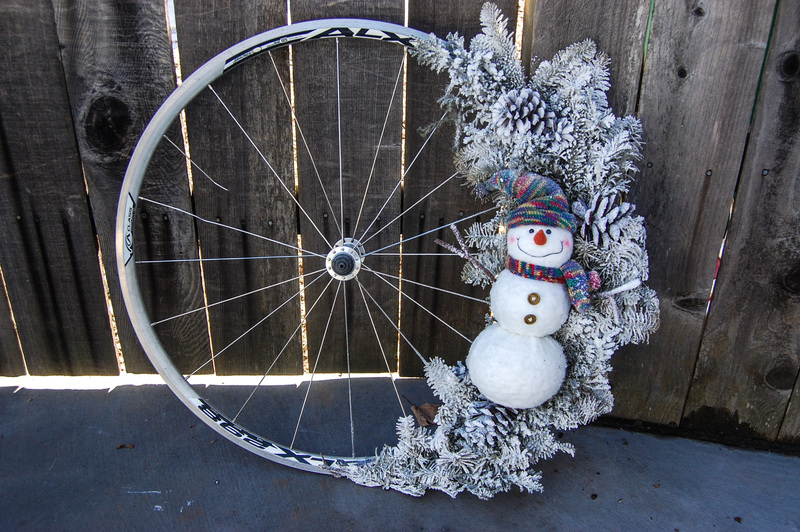 Join Laura for a night of Holiday wreath making by ‘upcycling’ old bicycle wheels. The cost for this event is $35 which covers materials and light refreshments. Space is limited to reserve your spot today. We will have varying sizes and colors of old wheels to use. Crafting materials such as ribbon, glue, wire, greenery, etc. will be provided. Follow this event on Facebook (https://www.facebook.com/events/767000293483123/) for some inspirational photos, and come prepared for an evening of fun! To reserve your spot, please send your payment of $35 through the PayPal link provided, or you can stop by the shop during regular business hours to pay.